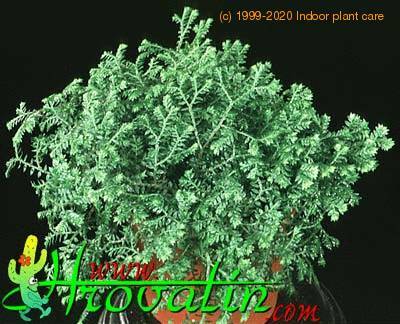 Use Flower Servant and it will remind you when to water, mist, fertilize or repot Selaginella species. Click here and try for free! These tender, spreading perennials are grown for their pretty, scale-like foliage. They can be used for edging greenhouse benches, covering pillars, planting in hanging baskets and decorating terrariums. Most of these plants are found wild in tropical America and Asia, but some come from China, Japan, North America, South Africa and Australia. 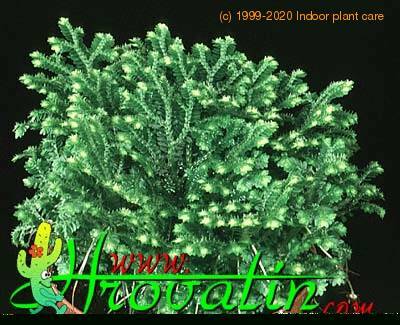 S. martensii is a pretty plant that grows up to 9 inches (22 cm) high and wide. Its tiny, glossy green leaves are produced in thick, multi-branched sprays. 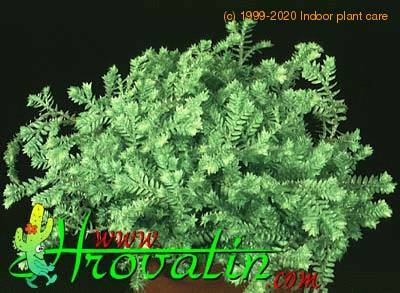 S. kraussiana (Spreading Club Moss/Trailing Spike Moss) is a trailing plant that grows 1/2-inch high (1,2 cm) and has a limitless spread. Its tiny, bright green leaves overlap along jointed stems. This plant has a moss-like appearance. 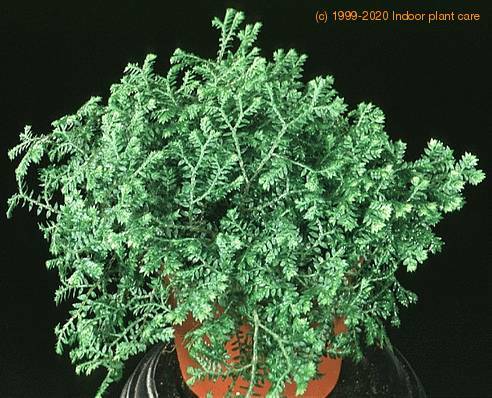 S. lepidophylla (Resurrection Plant) is a native of desert and semi-desert regions from Texas to South America. These plants need a minimum temperature of 40°F (4°C). 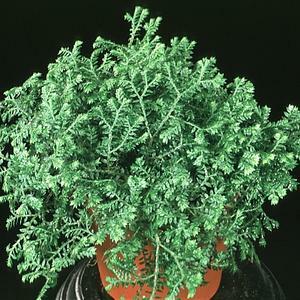 In cool climates, grow these plants in a house or greenhouse in moist, peaty soil consisting loam, leaf mold, sand and a bit of lump charcoal. They may be divided at any time of the year. Cuttings of shoots may be inserted in compost and moistened daily. They will produce roots quickly.